I know I said 'A Kind Heart' in Week Four but once again this sweet little boy has been so kind. 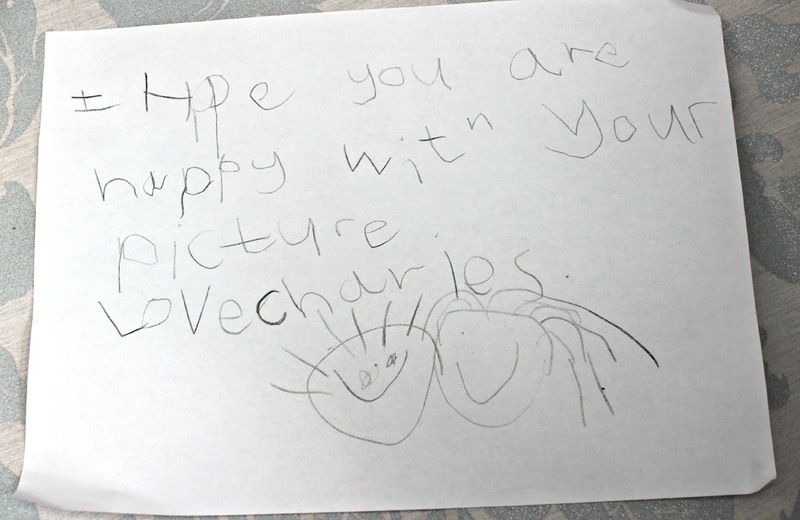 Charles' kindness and sensitivity amazes me sometimes. He really cares about people and has the biggest kindest heart of any child I know. I mentioned last week in my Love The Little Things post that we have made some really wonderful friends through sailing already and sadly they are selling their boat and moving abroad. The boys have really taken to them and Charles wanted to draw them a picture of their boat and write them a letter too. 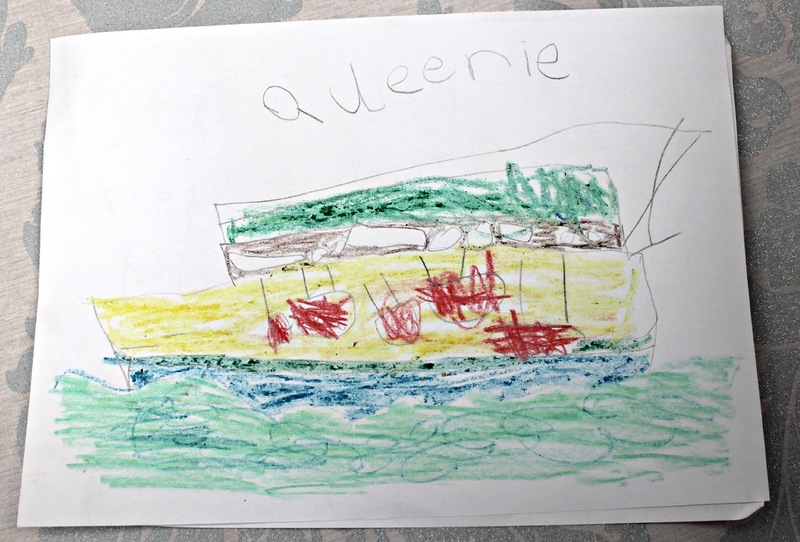 The reason he drew the picture was because he "doesn't want them to forget Queenie or me". 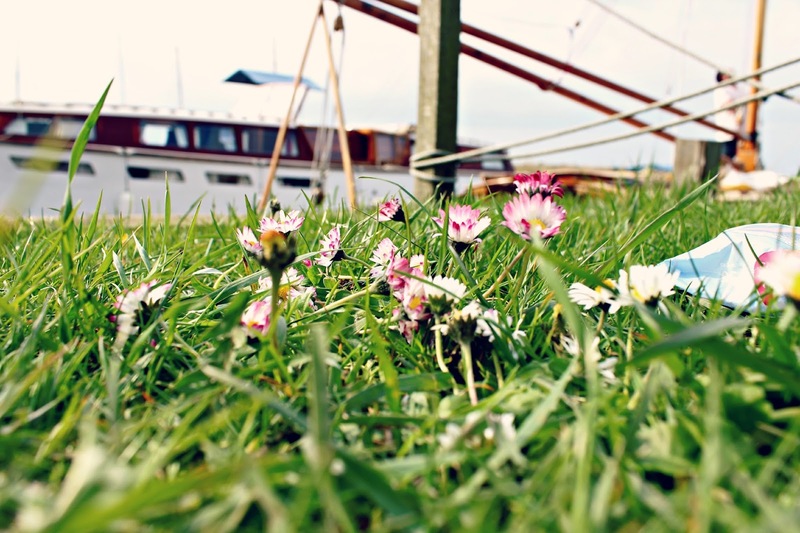 There are so many daisies on the grass around where we moor our boat. Charles again was super adorable as he skipped and hopped around the grass trying not to stand on any....which is tricky because there really are SO many. The boys are both super sweet because they will always pick me a daisy or three. I adore daisies anyway but it makes me so pleased that they want to do that for me. I am a really insecure person. 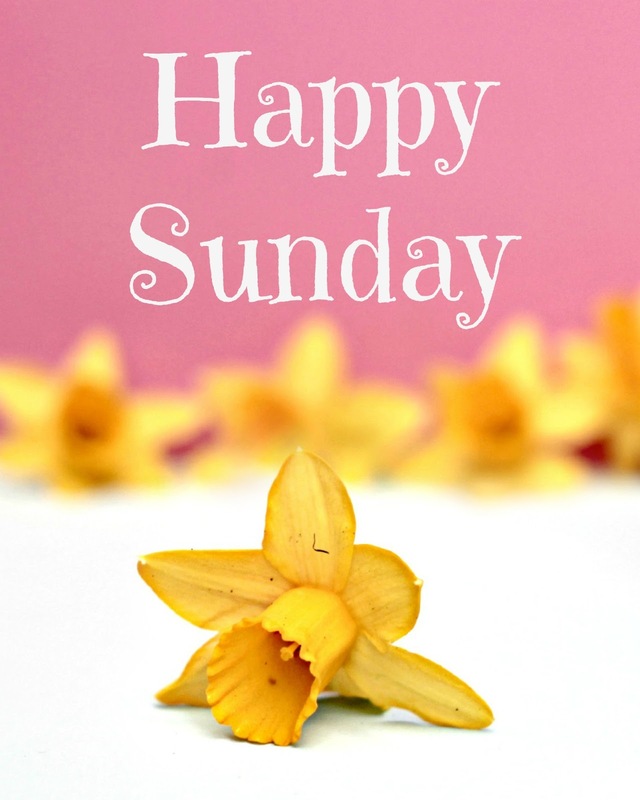 Any one who has read previous posts will know that I don't believe that anyone likes me, or could like me. Especially people who I look up to or would like to be friends with. 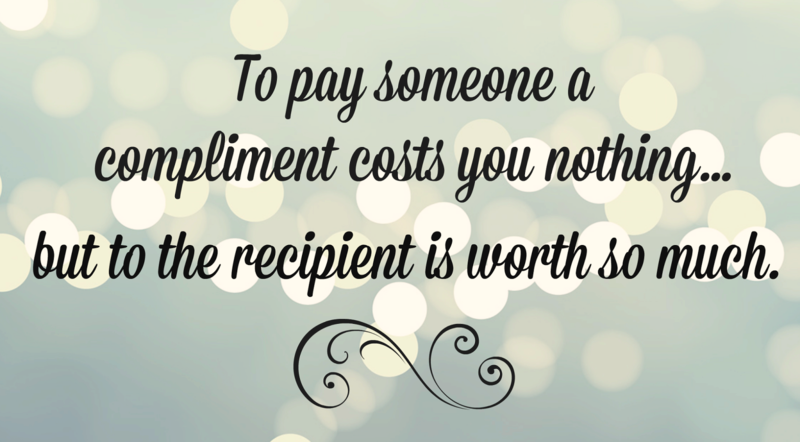 This week, in real life, I had two really wonderful compliments that made my week, and made me cry happy tears. These compliments were from two men who we've met through sailing. Both are in their 50's/60's and admire each of them, so it meant a lot for them to tell me these nice things. I know this sounds really weird, getting compliments from older men but it wasn't at all. One told me how kind I am, and made compliments about my nature. Which really meant a lot. The other, our sailing instructor, told me I had brought "a ray of sunshine in this old mans life". These comments really hit me straight in my heart. They made me smile and made me feel really good about myself. These men will never know how much those kind words made me feel, and how well appreciate they were. This photo is unedited, I wanted to show off how completely beautiful the view was over the Broads last week. So so beautiful. A couple of days before this we were stood in the exact same spot and watched as the mist rolled in over the fields. It was really quite eerie and scary as it surrounded us, but beautiful all the same. I cannot wait to see more views like this, maybe even better, over the next 6-7 months. Ok, so he didn't totally get what he was supposed to do but it works....other than the eyebrows thing. Random. But the first word he used meant a lot. It meant I have clearly started to turn a corner. 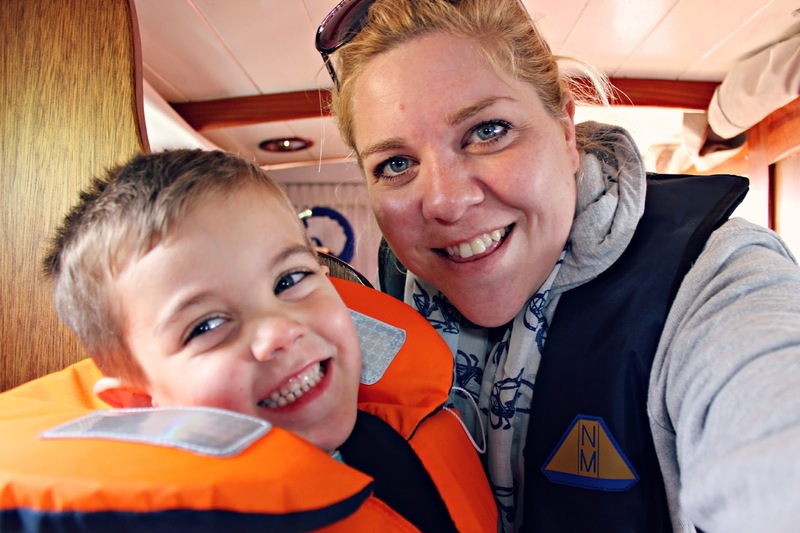 For a while I was a shouty mummy, a lot. I'm still a shouty mummy at times, as a few of us are I'm sure, but certainly not as much as I was. The fact that he see's me as being happy means I am showing him more of the happy side of me. I worry that he has maybe seen me cry too much recently, or picks up on my anxiousness too much, but for him to immediately think of me as being happy means I'm doing something right.